It was FANTASTIC to see so many of you last weekend at the River Road Ramble. We had an incredible time talking to as many visitors as we could and sharing our progress. We were so busy we almost forgot to take pictures! 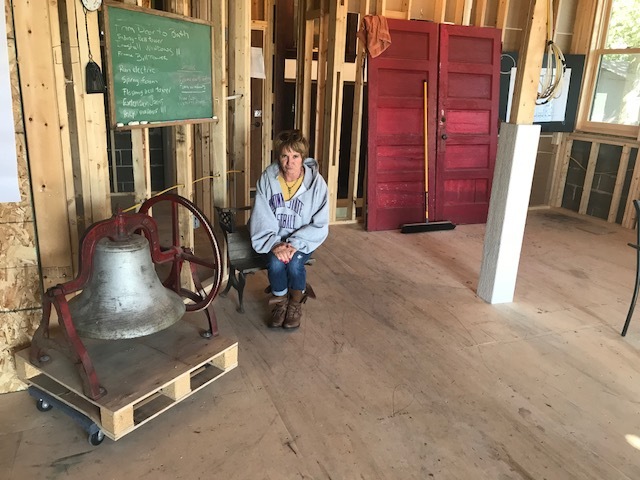 The school was prepped inside with a selection of historical stories, including a Day in the Life of a student from June and the story of the bell (featuring, of course the bell). I also included a selection of ‘found’ items, from a blueberry picker to a Colliers magazine from 1925. Outside, the sale was smaller than normal – too busy to pull much out this year. But Mom and Dad brought some over, and we had some leftover construction items. At the end, a lot of this went to the St. Croix ReStore some someone could get good use from them. 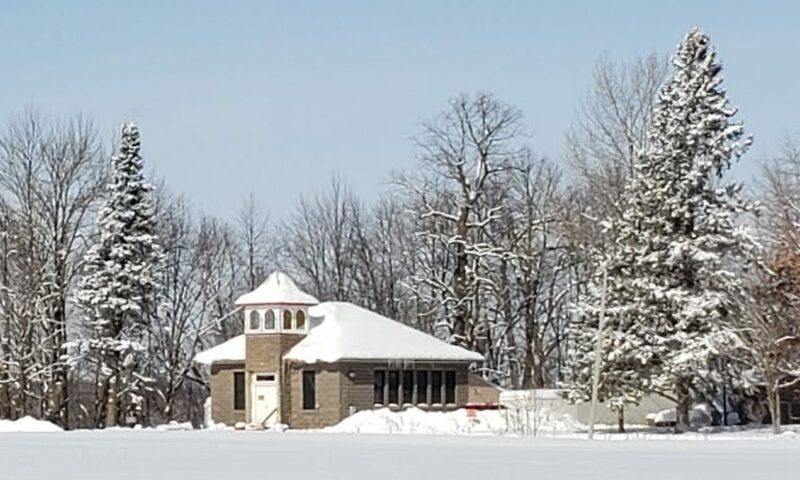 One of the most recent changes to show off was the bell tower. It got a spit shine of silver, plus sealing, and soffits, and removal of an impressive family of wasps. and spent the weekend replacing soffits and resealing with aluminum roofing. It is some amazing stuff. I think it looks pretty good! But back to the Ramble, I can hardly scratch the surface of all the people who stopped by. We talked to tons of people who had aunts, uncles, moms, dads, or even themselves who attended school at Bass Lake. Old (and new) friends from the ‘neighborhood’ came in droves. Mom and Dad provided lunch, for which I am very grateful, and Grace once again took charge of refreshments and most importantly, coffee! I was overwhelmed by a surprise visit from Janis, previously my Boot Camp Instructor, now a great friend (now that I’ve recovered from boot camp!). We were also lucky enough to talk my son Cody into a quick weekend visit. By the end of the weekend we all took a well deserved break, with Grandpa and Cody getting in a little fishin’ to top it all off. A great way to finish off a great weekend. Previous PostPrevious It’s Ramble Time! Next PostNext An electrifying addition!